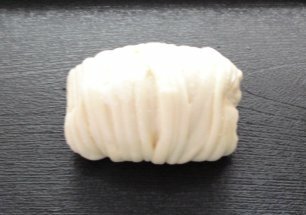 As I was browsing the web, I came across a blog about sake lees. 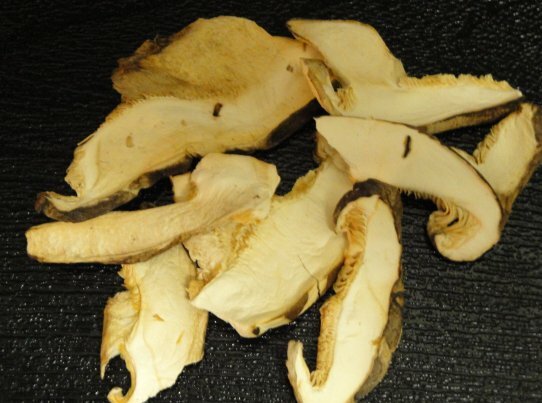 Sake lees (or kasu) are the solids after sake has been filtered. According to the Sushi and Sake website (www.sakeandtofu.com), sake lees contain yeast and essential amino acids that are good for you. In addition, according to Wikipedia, the kasu is used to make pickles, livestock feed, and “kasu” soup. The Cat was familiar with sake kasu. She calls it jiu zao, literally, alcohol residual. She’s had it in braised meat dishes and in sauces over meat and fish dishes. Our Qi (pronounced “chi”) Master friend confirmed that jiu zao was healthy and nutritious. At our local Japanese/asian supermarket, I located a bag of the sake kasu. The kasu looks a little like miso paste. There is a definite alcohol smell to the kasu. It tastes like sake (duh!). Usually, Chinese have soup as part of several dishes. We had eaten fairly heavy during the day and wanted something warm and light. I was intrigued with the “kasu” soup. The soup would serve as our main course. The Cat, who is from Shanghai, is used to quick soups made in minutes. 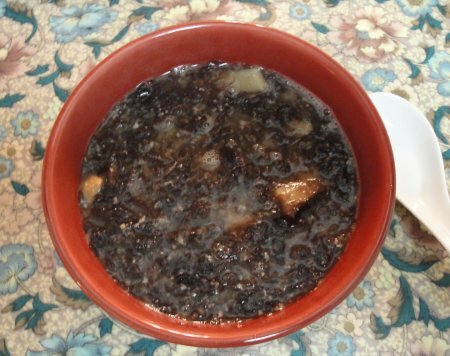 Our Qi Master suggested seaweed and dried shiitake with a couple of drops of roasted sesame oil as a quick soup that is also healthy and nutritious. Usually, I make the soup with wakame seaweed, but we ran out and we didn’t get the chance to re-stock the pantry. In going through our pantry, I saw we had another type of seaweed. The seaweed we had on hand was thin, pressed into round sheets. The sheet is about 12 inches wide. For each serving, I used about one-fifth of the sheet. 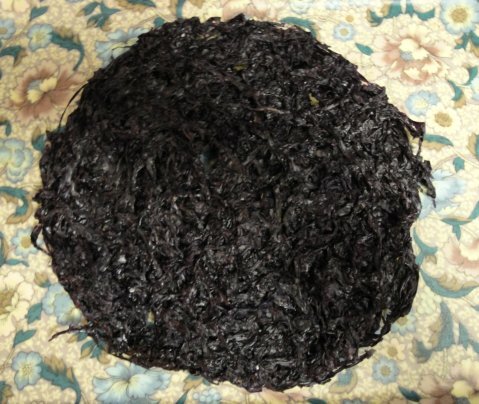 This is the same type of seaweed used by some Chinese restaurants to make seaweed fishcake soup. I decided to give it a shot. Each serving was about the size of a small saimin bowl. Rehydrate mushrooms for about 10 minutes in water. Use the water as the soup stock, bring water to boil and simmer for a couple minutes. Shred the seaweed and add it to the soup. Simmer for a minute or so. Add the jiu zao (I used one Chinese soup spoon for each serving) , a pinch of salt, a pinch of sugar, and turn off heat. Let soup sit for a couple of minutes to allow the jiu zao to “melt” and incorporate itself into the soup. I left out the sesame oil this time as I thought it might interfere with the jiu zao taste. The soup was not very photogenic, but The Cat gave a thumbs up. And in the end, that’s all that matters. The Cat had her soup with a steamed bun we bought frozen from the local Korean market and resteamed at home. Light vegetable stock, dashi, or chicken stock could probably be either added or used instead of water. But I wanted to highlight the jiu zao taste. I was afraid that other soup stock might overpower the taste. Maybe next time I will add slices of white fish, shrimp, or scallops to “fancy” it up. This post is submitted to http://kahakaikitchen.blogspot.com/ for her Souper Sunday entry. The Cat can Drink Soup. Sounds really awesome! Where did you get the jiu Zhao from? 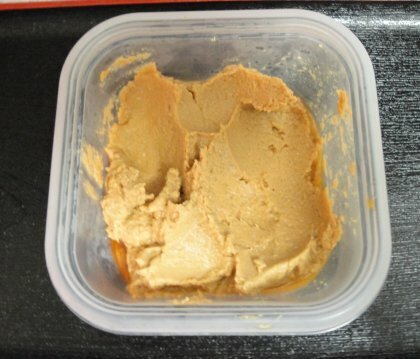 It looks like miso paste. Our local Japanese supermarket occasionally sells bags of the stuff. Looks like a tasty soup! I’ll try it. I might try this. Thanks for the recipes. Hi Mouse! Your post just inspired me to make this soup – I tend to slip back into my western repertoire when the Big Qi is away, so thanks for the reminder. I love this soup! Thank you for visiting and leaving encouraging comments. Aloha, The Mouse. What a wonderful blog you have! The soup sounds amazing.